Along with the University of Regensburg (Regensburg, Germany), Functional Food Center (Dallas, USA) is pleased to announce its 15th International Conference, "Mental, Neurological, and other Chronic Disorders: Bio-markers, Bioactive Compounds, and Functional Foods". It will be held at the University of Regensburg. The conference will bring together experts in medicine, biology, and the food industry to discuss the contribution of functional/medical foods and bioactive compounds in the prevention and management of neuropsychiatric and other chronic diseases. The abstract submission deadline has been extended to March 21, 2014. However, space is limited so don't wait, submit your abstract today! The entire abstract should have a maximum of 650 words, or up to three pages. There is no up-front fee for submitting a conference abstract. An abstract must be submitted with the intention that the submission fee will be deducted from your conference registration payment, as long as the payment is made within 7 days of submission. Failure to register with payment within 7 days of acceptance will result in an additional abstract publication fee of $49. First authors are expected to register, pay the conference fee, and present the paper if the conference committee accepts their submission. In the case of an emergency and the author(s) are unable to attend the conference, they are required to pay an abstract publication fee of $99. Decisions on selection will be communicated to the authors via e-mail. All contributions will be reviewed, and accepted abstracts will be published in the conference proceedings book. Please email your abstract as an attachment to ffc_usa@sbcglobal.net. See our sample abstract. There is no charge for the withdrawal of an abstract. In the case that the first author cannot attend the conference and present, he or she must contact the conference organizing committee by e-mail at ffc_usa@sbcglobal.net to provide notification of withdrawal or to request a substitute presenter. Withdrawals must be received before March 21, 2013. Please note: Abstracts withdrawn after March 21, 2014 will be published and the first author will be expected to pay the abstract publication fee. The conference provides neither financial support nor registration fee waivers for presentations. To avoid the last-minute rush, submit your abstract in advance. Abstracts reaching the Conference Organizing Committee after March 21, 2014 at 5 pm will not be accepted. For any information concerning publications please contact us at ffc_usa@sbcglobal.net. For more information about abstract submission, please click here. Poster presentations give the audience a clear visual of the presenter's work in a simple format. The reasonable size for posters is 2.5–3.0 feet high by 3.5-4.0 feet wide. Complementary use of color, and black or dark blue for text. Too much color can be hard to read! Make the title large and clear! Include author(s) name(s) and address(es). Your poster title should be easily readable from 3-4 meters away. The registration fee will cover the Conference Proceedings book (Abstract book), and lunches and refreshments for two days, as well as a 12-month membership to the Academic Society for Functional Foods and Bioactive Compounds. Saturday night, May 10th: We offer a guided tour for all congress participants in the medieval center of Regensburg (meeting at the “Historische Wurstküche” at 7 p.m.), at 8:30 p.m. dinner in a Bavarian restaurant. The guided tour will be free. Everyone must pay for dinner on Saturday night. Please let us know if you are interested. Reservation should be completed by May 5th. Contact to our local organizing committee members Dr. Ivo Kaunzinger (Email: ivo.kaunzinger@ur.de) or Dr. Joachim Hauser (Email: joachim.hauser@ur.de ). *Free transportation from the hotel to the university is not available. Cancellation Policy: Two months before the conference: 75% refund, 45 days before conference: 50% refund, one month before conference: No refund. Refunds will be sent after the conference. Notice of cancellation of registration must be received in writing to the Conference Secretariat, at ffc_usa@sbcglobal.net. All refunds will be provided after the conference within 10 days. Please click here to make a payment for the conference registration fee. Please note: space at this conference is limited and will be given on a first come, first served basis. Hotel information: Please click here for venue and accommodation. 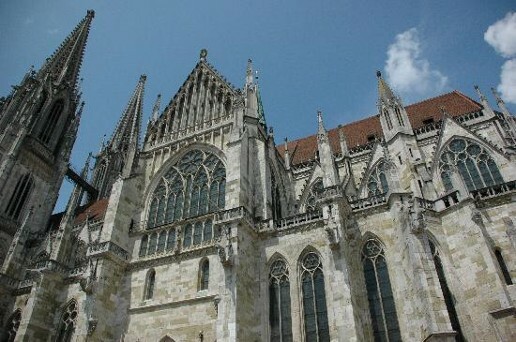 Regensburg travel guide: Please click here. For more information about the conference, contact us by email at ffc_usa@sbcglobal.net. For international calls, please use 469-441-8272. Saturday, May 10th: We are offering a guided tour for all congress participants in the medieval center of Regensburg (meeting at the “Historische Wurstküche” at 7 p.m.). The guided tour will be free. Everyone will pay for dinner (8:30 in a Bavarian restaurant) on Saturday night. Please let us know if you are interested. Reservation should be completed by May 5th. Contact our local organizing committee members Dr. Ivo Kaunzinger (Email: ivo.kaunzinger@ur.de) or Dr. Joachim Hauser (Email: joachim.hauser@ur.de ). 9:45-10:05 Lieselotte Veryser, PhD Student: Drug Quality & Registration Group, Ghent University, Ghent, Belgium: Are plant n-alkylamides cosmenutriceuticals also active in central nervous system? Student awards: (Chair: Klaus Lange). Institute of Psychology, University of Regensburg (Germany) will award two student presentations at $500 for the first place, $200 for the second place. Clinical, R&D awards: (Chair: Danik Martirosyan) Academic Society for Functional Foods and Bioactive Compounds will award to those oral or poster presenters who present the best research in clinical ($400), research & development ($400) presentations and also will award the book “Introduction to Functional Foods Science” to all finalists (which have a value of $229.00). 16:15-17:15 Panel discussion: Is functional food able to manage mental and neurological disorders? 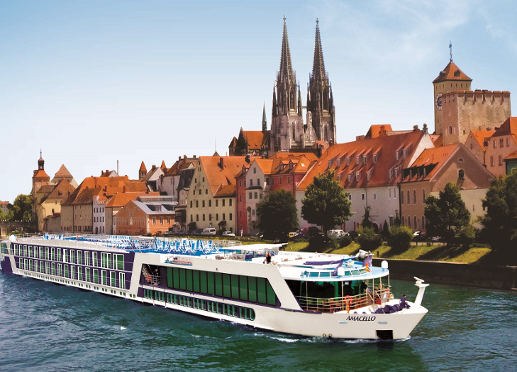 Welcome to the UNESCO World Heritage City of Regensburg! I am pleased to invite you to join us for the 15th International Conference of Functional Foodsscheduled for May 10-11, 2014 in Regensburg, Germany. The discussion topic is "Mental, Neurological, and other Chronic Disorders: Biomarkers, Bioactive Compounds, and Functional Foods". The importance of nutritional factors in the development of metabolic syndrome-related diseases, such as atherosclerosis, cardiovascular disease and type 2 diabetes, is well-established. In addition, recent evidence suggests that nutrition plays a role in mental health and that dietary factors may influence the etiology, management and prevention of several mental disorders, including depression, attention deficit hyperactivity disorder and Alzheimer’s disease. The investigation of bioactive compounds in foods and the impact of diet and functional food on chronic diseases have therefore become an exciting field of scientific research. Our meeting will cover a wide range of topics appealing to the interests of clinicians, researchers, practitioners and experts from industry. It will provide you with ample opportunity to exchange knowledge and experience. The conference venue is on the campus of the University of Regensburg in Bavaria. The almost 2000-year-old city of Regensburg, with its magnificent Gothic cathedral, is inscribed on the UNESCO World Heritage List. Regensburg is the best preserved medieval city in Germany and boasts numerous attractions from the time when Regensburg was a fortress on the border of the Roman Empire, and later a flourishing and wealthy trading place in Central Europe. In the Middle Ages, the city became a favorite meeting place of Imperial Assemblies and from 1663 until 1806 the city was the seat of the Perpetual Imperial Diet, where the ambassadors from German and European royal courts established a varied cultural life. Apart from discussing recent developments related to functional/medical food in health and disease, you may also enjoy the charming atmosphere of Regensburg and taste Bavarian food alongside excellent beer. I look forward to welcoming you to Regensburg in May. The conference venue takes place in the University of Regensburg in Bavaria. The almost 2000-year-old city of Regensburg, with its magnificent Gothic cathedral, is inscribed on the UNESCO World Heritage List. Regensburg is the best-preserved medieval city in Germany and boasts numerous attractions from the time when Regensburg was a fortress on the border of the Roman Empire, and later, a flourishing and wealthy trading place in Central Europe. In the Middle Ages, the city became a favorite meeting place of Imperial Assemblies. From 1663 to 1806, it was the seat of the Perpetual Imperial Diet, where the ambassadors from German and European royal courts established a varied cultural life. You can discuss here recent developments related to functional/medical food in health and disease. 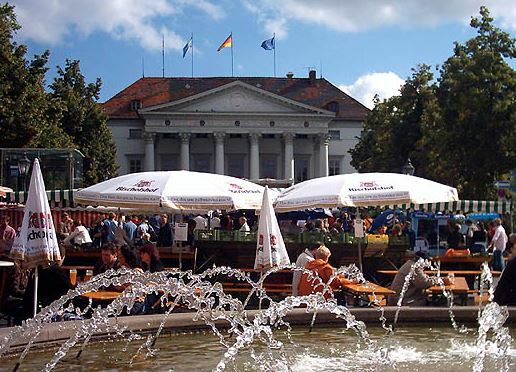 Further, you will be able to enjoy the charming atmosphere of Regensburg and taste Bavarian food, accompanied by excellent beer. Regensburg is one of the few cities that World War II did not destroy. If you are staying for a few extra days, you may want to look into renting a car or consider the local train and bus schedules. The Airportliner shuttle service is very convenient, as it provides direct transportation to and from the Munich airport. Also, this service has both affordable minibus shuttles and luxury private rides. To make your reservation or look for more information, click here (http://www.airportliner.com/index.php?lang=en). Please note that this service needs to be booked in advance. There is also a regular bus service – number 635 of Münchner Verkehrsbetriebe – from Terminal 2 to Freising Station. From there, a direct train service from Freising takes to you Regensburg in 60 - 90 minutes. Taxi: "Universität Vielberth-Gebäude" should be mentioned to taxi drivers. Public transport: There are two bus lines to the University from several bus stops in the center of Regensburg. Both bus lines go in two opposite directions, so it's important to check for the correct direction which is given at the front of the bus. Bus No. 6, direction Universität or Klinikum (bus stop Universität for conference - University central bus Station on map). Bus No. 11, direction Universität or Burgweinting (bus stop Universität for conference - University central bus Station on map). Click to the following two links to see conference room location on university map: (FFC Rote Map) and FFC University Map. If you have any additional questions about the conference room or transportation, please contact to our local organizing committee members: Dr. Ivo Kaunzinger (Email:ivo.kaunzinger@ur.de, Tel. ++49-941-943-2535) or Dr. Joachim Hauser (Email: joachim.hauser@ur.de, Tel. ++49-941-943-3774). They are available during office hours (German time 9 a.m. to 6 p.m.). The campus of the university is located near the center of town and can be easily reached by public transport from the hotels. Below is the list of Regensburg hotels that offer rooms at discounted rates for our conference. Participants should reserve their rooms before the end of March 2014. Just mention the code “FUNCTIONAL FOOD CONFERENCE” while making your reservation, in order to receive the discount. Saturday night, May 10th: We offer a guided tour for all congress participants in the medieval center of Regensburg (meeting at the “Historische Wurstküche” at 7 p.m.). The guided tour will be free. Everyone will pay for dinner (8:30 p.m. in a Bavarian restaurant) on Saturday night. Please let us know if you are interested. Reservation should be completed by May 5th. Contact our local organizing committee members; Dr. Ivo Kaunzinger (Email: ivo.kaunzinger@ur.de) or Dr. Joachim Hauser (Email: joachim.hauser@ur.de ). The “15th International Conference of FFC - Third International Symposium of ASFFBC Mental, Neurological and other Chronic Disorders: Bio-markers, Bioactive Compounds, and Functional Foods ", an international scientific conference, was held May 10-11th, 2014 Regensburg, Germany. This 15th annual conference was organized by the University of Regensburg, Department of Experimental psychology and the Functional Food Center, and hosted at University of Regensburg, Regensburg, Germany. The conference brought together experts in medicine, biology, and the food industry to discuss the contribution of functional/medical foods and bioactive compounds in the prevention and management of neurological diseases. The best experts in the field of functional foods, from all over the world, gathered at the 15th International Conference to discuss the role of nutrition and dietary factors in mental health. Research was presented as results of pre-clinical studies of bioactive compounds and clinical results of clinical studies, and the research and development of new functional food products. The 15th International Conference was different from other International Conferences, since the topic of the conference was presented for the first time. More than 40 countries represented in the conference, including universities and food companies. For the first time, a panel discussion was conducted at the end on the topic “Is functional food able to manage mental and neurological disorders”? The panel committee members included Dr. Klaus W. Lange, Dr. Shiming Li, Dr. Ahmed F. El Fouhil and Dr. Danik Martirosyan. Also, legislation on health claims was presented regarding the Food laws in European countries. The conference covered eight sessions, including oral and poster presentations. The presenters included session topics involving Functional Foods and mental health, Prevention and management of mental and neurological disorders: Complementary and alternative medicine approaches, Bioactive compounds, functional and medical foods in the prevention and management of mental and neurological disorders and Legislation on health claims: Health, functional and medical food. The conference opened with a Welcome speech made by Dr. Klaus W. Lange, Head of Experimental Psychology Department; University of Regensburg, Regensburg, Germany, and Dr. Danik Martirosyan, president of Functional Food Center of Dallas, Texas, USA. Andreas Reissmann, University of Regensburg, Germany presented on “Gluten-free and casein-free diets in the treatment of autism”. The presentation included the information from their study to show a diet low in gluten and casein proteins has been hypothesized to ameliorate the behavioral symptoms of children with autism. A review was conducted of the scientific literature concerning dietary effects on various outcome measures. Dr. Ewelina Makulska-Gertruda, PhD: University of Regensburg, Germany presented a poster entitled “Omega-3 polyunsaturated fatty acids and ADHD-related symptoms in animals”. Their study examined the influence of n-3 PUFA supplementation on attention and impulsivity in the spontaneously hypertensive rat (SHR). They concluded that an administration of n-3 PUFAs can improve the cognitive or behavioral symptoms in children with ADHD and may therefore have some therapeutical effects. Kelli Herrlinger, R&D Scientist, Kemin Foods, L.C., Des Moines, IA, USA, presented a lecture entitled “Spearmint extract containing Rosmarinic acid improves cognitive function in a SAMP8 mouse model of accelerated aging and in men and women with self-reported memory impairment”. Their study was designed to test if a novel, proprietary spearmint extract containing RA is efficacious in improving learning and memory in a mouse model of accelerated aging. A follow-up open-label, pilot human clinical trial was conducted using the spearmint extract to both confirm the cognitive function benefits identified in the animal study and determine the safety and tolerance in men and women with self-reported memory impairment which showed positive results. Luísa Custódio, Centre of Marine Sciences, University of Algarve, presented a poster on “Microalgae extracts exhibit in vitro neuroprotective features through inhibition of cholinesterase and protection of the human dopaminergic cell line SH-SY5Y from hydrogen peroxide-induced cytotoxicity”. Their study evaluated the in vitro capacity of extracts of microalgae to inhibit enzymes related with neurological diseases, which indicates that B. braunii and N. oculata contains compounds displaying multiple features useful for the relief of symptoms associated with neurological disorders. The awardees of the 15th International Conference for the lecture and poster presentations are: Dr. Luisa Barreira, Dr. Luisa Custodia, Andreas Reissmann, Dr. Ewelina Makulska-Gertruda, PhD, Kelli Herrlinger. Dr. Luisa Barreira and Dr. Luisa Custodia. They have shared the first place of student presentations and won $500. Reissmann secured second place, winning $200. Dr. Makulska-Gertruda won the best research in clinical with $400, and Herrlinger won for Research and Development with $400. All the awardees were also presented with the book “Introduction to Functional Foods Science”, by Dr. Danik Martirosyan. Dr. Klaus W. Lange, Chair of Biological, Clinical and Neuropsychology; Head of Experimental Psychology Department; University of Regensburg, Regensburg, Germany gave an oral presentation on “Dietary factors in the etiology and therapy of attention deficit/hyperactivity disorder”. Their study provided a comprehensive overview of the role of dietary factors in the etiology and therapy of ADHD. Diets to reduce symptoms associated with ADHD include sugar-restricted, additive/preservative-free, elimination, and fatty acid supplements. Results of recent research and controlled studies regarding ADHD and diets were included in this. Free fatty acid supplementation has been demonstrated to produce small but significant reductions in ADHD symptoms. Their study concluded that a substantial efficacy of diet in the therapy of ADHD remains uncertain and further investigations are needed. Dr. Joachim Hauser, Department of Experimental Psychology, University of Regensburg, Regensburg, Germany gave a poster presentation entitled “The effects of dietary omega-3 polyunsaturated fatty acid deficiency on local discrimination in Wistar rats”. This includes the investigation of the effects of dietary n-3 PUFA deficiency on spatial memory in rats, as measured by a local discrimination task. Eight generations of Wistar rats were used, fed with experimental n-3 PUFA deficient diet and compared. Both groups showed a significant decline in the percentage of correct responses and underline the importance of n-3 PUFAs for neuronal development and cognitive functions. Dr. Sybille Buchwald-Werner, PhD: Managing Director, Vital Solutions GmbH, Germany, gave a presentation on “Lemon balm for mental health: Modulation of muscarinic receptor activity by a proprietary Melisse officinalis extract”. Their objective was the development of a special lemon balm extract for mental health, which combines traditional calming effects with new cognitive benefits. Phytochemical - and bioassay - guided development process applying human muscarinic M1 receptor binding studies were used. A special lemon balm extract was developed that has muscarinic receptor binding activity supporting mental health and cognitive performance. Dr. Nina Mikirova, Riordan Clinic, Wichita, KS, presented on “The orthomolecular correction of metabolic imbalances found in Attention Deficit Hyperactivity Disorder: A retrospective analysis in an outpatient clinic”. Their study identified the metabolic imbalances in fatty acid, amino acid, mineral, and pyrrole levels in ADHD patients, and examined the effectiveness of the nutritional approach in the correction of these imbalances in an outpatient clinic. The study was based on the data extracted from patient history database covering a period of over 10 years. Blood levels of fatty acids, amino acids, vitamins and minerals, hair analysis of heavy metals and urine pyrrole levels were done on all patients. Children and adolescents were administered an integrative protocol for ADHD treatment. In the studied population, it was demonstrated that metabolic correction of biochemical disturbances using essential fatty acids, amino acids, and minerals can improve fatty acid profiles and metabolic stress levels. These disturbances, or variations from reference values, have been associated with behavior typical of ADHD. Their data suggests that at least two of the factors that were the most abnormal, omega-6-to-omega-3 ratios and pyrrole levels, and can in fact improve in subjects undergoing a regimen with nutrient supplementation. Dr. Stefan Crynen, The Roskamp Institute, Sarasota, FL, USA,gave a presentation entitled “The Brain Reserve Index (BRI) - Quantifying and influencing current risk associated with Alzheimer's disease through lifestyle choices and medical risk management”. Their study involved the development of ‘The Brain Reserve Index’ (BRI) to quantify the associated risk factors that provides a guide as to whether one is at an increased or decreased risk compared to the average population. The lifestyle factor scores and the medical risk factors are combined to derive the BRI. They concluded that the Brain Reserve Index (BRI), in combination with individualized lifestyle recommendations and brain health coaching, is a new and unique tool to quantify and reduce risk factors associated with Alzheimer's disease and related dementias. Dr. Mohammed S. Ali-Shtayeh, Biodiversity and Environmental Research Center (BERC), Til, Nablus, Palestine presented on “In-vitro screening of acethylcholinestrase (AChE) inhibitory activity of extracts from Palestinian indigenous flora in relation to the treatment of Alzheimer’s disease”. Their objective was to explore newly potent and safe natural therapeutic agents for the AD treatment by evaluating in vitro the anti-cholinesterase potential of a number of selected Palestinian medicinal plants. Among the 40 Palestinian plants analyzed, several plants showed inhibitory activity of AChE enzyme and their research concluded that such plants may help in preventing or alleviating patients suffering from Alzheimer’s disease. Dr. Julius Oben, Laboratory of Nutrition and Nutritional Biochemistry, Department of Biochemistry, Faculty of Science, University of Yaounde 1, Yaounde, Cameroon presented on “Neuroprotective activity and Secretase enzyme inhibition of an extract of Baillonella toxisperma on experimentally induced neurotoxicity in rats”. Their study aimed to investigate the effect of a hydroethanolic extract of Baillonella toxisperma on the oxidative stress status and Aβ deposition in Alzheimer’s disease-like induced rats. They observed that treatment with HEBT resulted in a marked appreciable improvement in brain MDA content observed in AlCl3 treated rats. Dr. Yukiko Nakamura, Graduate School of Information Science, Nara Institute of Science and Technology, Takayamacho, Ikoma, Nara, Japan gave a presentation on “KNApSAcK metabolite activity database is helpful for brain and mental health related studies and services”. They conducted a study to facilitate a comprehensive understanding of the interactions between the metabolites of organisms and their chemical-level contribution to human health by constructing a metabolite-activity database (DB), called KNApSAcK Metabolite Activity DB, which comprises triplets, i.e., metabolites, target species and activities. The KNApSAcK Metabolite Activity DB could be utilized for developing novel drugs and materials. Dr. Torsten Grothe, Manager Scientific Affairs, Frutarom Switzerland, Switzerland presented on “Wild green oat extract: an innovative functional food ingredient with cognitive benefits”. Their study included a bio-assay-guided to develop an extract suitable for inclusion in dietary supplements and functional foods, using Phosphodiesterase 4 (PDE4) and Monoamine oxidase B (MAO-B) inhibition. Safety and in vivo proof of concept studies were successfully performed and followed by three human trials. Their results identified a reasonable mode of action for green oat preparations explaining the traditional effects. Human trials approved the cognitive benefits of green oat extract with a focus on mental alertness and concentration. Dr. Erfan Younesi, Department of Bioinformatics, Fraunhofer Institute SCAI, Sankt Augustin, Germany presented on “Evidence-based modeling of mode-of-action for functional ingredients influencing Alzheimer’s disease through neurotrophin pathway”. Their study determined to find out diets that are causally linked to the agonistic activity of BDNF, to investigate mode-of-action of those functional diets and to demonstrate the proof-of-concept application of systems biology methods. A “differential model analysis” between the normal and diseased states was performed. The proposed evidence-based rationale for modeling the mode-of-action provided novel mechanistic insights into the BDNF-regulated survival pathway. Giorgio Rusconi, Lawyer, Mondini Rusconi Legal Firm, Italy gave a presentation on “The European legal framework of functional food: The differences in the procedures of authorization in EU countries”. The purpose of the presentation was to offer an explanation of the European Legal principle on the matter and of clarifying the peculiarities of each Member State’s legislation, expressly concerned the procedures of authorization of functional food. It offers an overview of each Country’s legislation regarding the respective legal situation within the framework of the existing EU law. 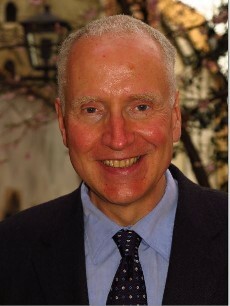 The conclusion was (since consumers' demand for food with specific health benefits had increased the economic importance of developing, producing and marketing functional food), it could be desirable a progressive rapprochement between each single legislation about functional food, under an European legal framework. Dr. Annegret Auinger, Senior Consultant, Analyze&Realize GmbH, Berlin, Germany presented on “Health Claims on cognitive function - The science behind the legislation”. This presentation was about EFSA. The European Food Safety Authority is tasked by the European Commission with giving scientific opinions to health claim applications, including health claims for cognition. So far, no innovative, product-specific cognition claims have been approved by the Community. From its guidelines and the opinions EFSA has given so far on cognitive health claims, a number of factors influencing the quality of a study can be gleaned. In summary, there are several regulatory and scientific aspects to be considered starting from product development of innovative ingredients targeted brain health to the design of an appropriate study and the application of a claim application. Dr. Jintanaporn Wattanathorn, Department of Physiology, Khon Kaen University, Khon Kaen, Thailand presented on “Anacardium occidentale based drink improves working memory, attention and cognitive processing capability of older adults via the increased cholinergic and monoaminergic functions”. The study was conducted to determine the effect and 8-week consumption of cashew apple fruit juice on working memory, attention, cognitive processing and the function of cholinergic and monoamine systems. The cholinergic and monoaminergic systems functions were determined using acetylcholinesterase (AChE) and monoamine oxidase (MAO) activities as indices. Their data suggested that 8-week consumption of cashew apple fruit juice improved the function of cholinergic and monoaminergic systems, giving rise to the increased working memory, attention and cognitive processing capability. Please click here to see sample of power point presentation (by Professor Klaus Lange). Let us know if you are interested in the conference book or presentation slides.